Vegetable oils have many advantages as industrial lubricants, but their deficiencies often outweigh their benefits. 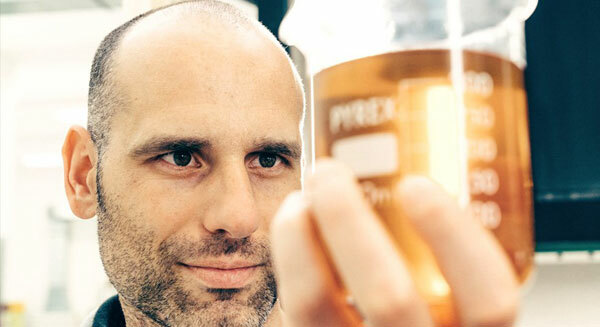 At the R&D centre in Rovereto, Italy, Sandvik has found a way to make vegetable oil standard for all its computer-controlled manufacturing machines. Maurizio Tardivo, project manager and responsible for the Sandvik Coromant R&D facility, put the vegetable oil to the test. It passed with flying colours. For many years, the research team at the Sandvik Coromant R&D Centre in Rovereto, Italy, thought about replacing the mineral oil used in their computer-controlled manufacturing machines, so-called computer numerical control or, in short, CNC machines, with a vegetable alternative. The drawback was the discouraging results from previous tests where the vegetable oils performed poorly at high temperatures and pressures, oxidizing and undergoing changes to their chemical and physical composition. The oils tested also showed a very low smoking point, and their capacity to resist bacterial attack was weak. Maurizio Tardivo, project manager and responsible for the Sandvik Coromant R&D facility, put the vegetable oil to the test. It passed with flying colours. Vegetable oil has now been adopted for the two remaining CNC milling machines at the Rovereto R&D centre. The only change the researchers made was to purchase a portable oil separator to be used every one to two weeks on each machine to avoid the eventuality of oil or grease contamination.